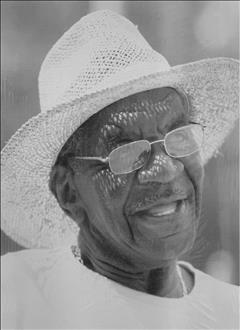 Obituary for Wilbur Roscoe Jackson | Collins Funeral Home, Inc.
Mr. Wilbur Roscoe Jackson entered into eternal rest on January 12, 2019. He was born July 6, 1938 to the late Wilbur Jackson and Naomi Wynn Jackson of Blackstone, Virginia. Wilbur joined the United States Navy and went on to serve in the Korean war. Wilbur was always the life of the party and made everyone feel loved and welcomed. He retired from Pocoma Farms as a caretaker and was a devoted member of Alcoholics Anonymous. Wilbur was preceded in death by his wife, Ellen Robinson Jackson; two brothers; four sisters; one son, Jimmy Lee; and one step daughter, Ella Jane Jackson. Left to cherish his memories are those who loved him, two sons, Anthony (Kimberly) McLeod and Edward (Viola) Jackson; two daughters, Gloria Jean Williams and Janie “Poochie” McClinton; three step sons, James Jackson, John (Natalie) McLeod and Horace McLeod; six step daughters, Kathleen (Curtis) Drakeford, Osteen, Patricia, Nancy, Theresa and Ruby McLeod; two sisters, Mary Anderson and Ruth Williams; three sister in laws; a multitude of grandchildren, great grand children great great grandchildren, other relatives and friends. We would like to give thanks to a special friend, Mrs. Laura Campbell, for years of love and devotion to our father.